The Toronto Web Company has completed many design focused projects, but here you'll find just some of what we've done for our clients. The projects presented range from website design, graphic design for web and for print, and brand identity and development. 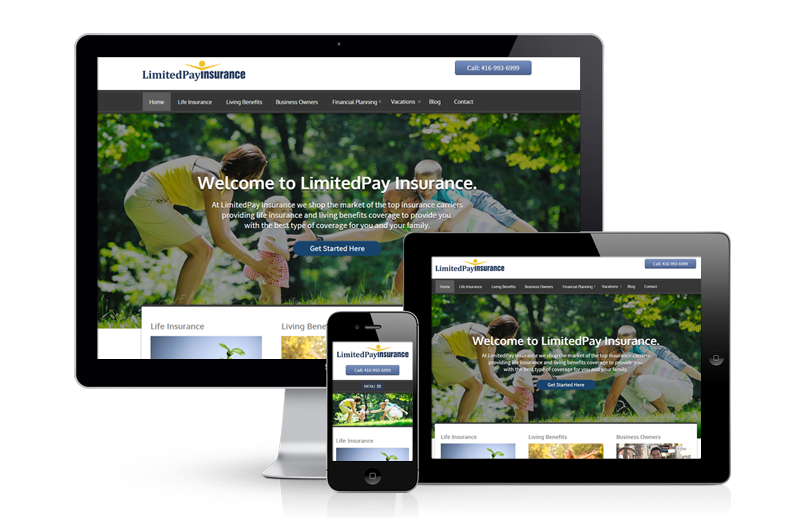 Limited Pay Insurance trusted The Toronto Web Company to develop a logo and a website for their up-start insurance business. For their website, the goal was to create a website that was easy to navigate, considering they have a sizable senior citizen clientele. The mobile version of the site provides a quick call button making it much easier to dial out from your mobile phone. 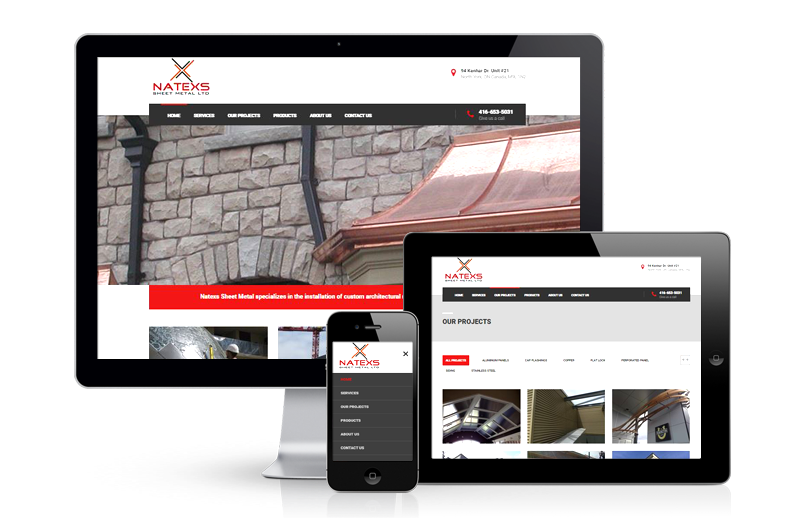 Natexs Sheet Metal LTD, hired us to create a new website that was able to showcase their unique work. The Toronto Web Company was able to provide Natexs with a website solution that gives them the flexibility to manage the website themselves, featured various scalable attributes, and met their needs of wanting the site to be mobile friendly, clean, and easy to navigate. 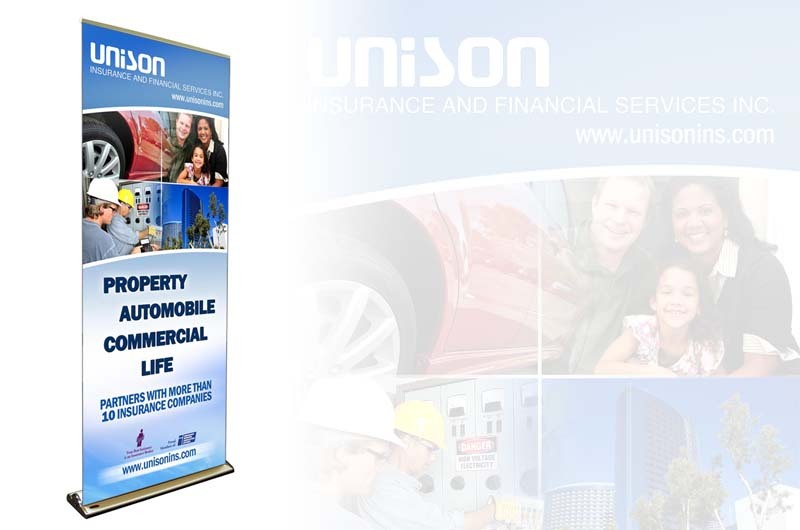 Unison Insurance needed a new website design to replace their older website. They were opened to several options and finally settled on a web design option that worked for them. 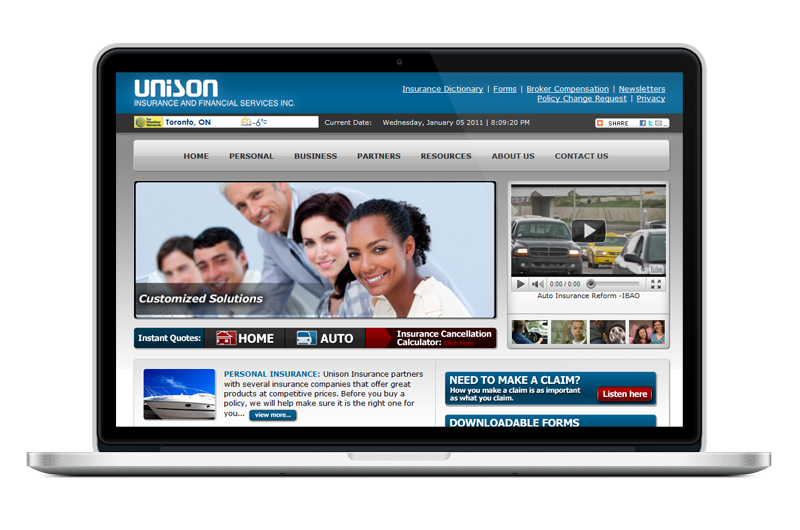 The Toronto Web Company worked with Unison to get all the intricate pieces of information in right place. Beyond the website design project, we also provided great graphic design work in the design of retractable banners, used at trade shows and other events. 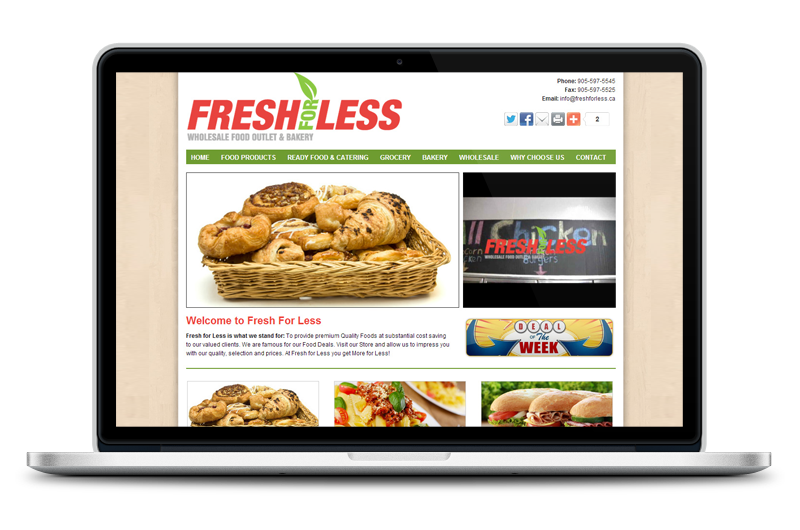 Fresh for Less is a ready foods, catering and bakery company. They wanted to update their old website to something new, fresh and vibrant. After visiting their location, we went to work on redesigning their website. We decided to use the colour from their logo to bring visual continuity to the new site. In the end we were able to achieve what they were looking for...a new website that looks fresh and vibrant. 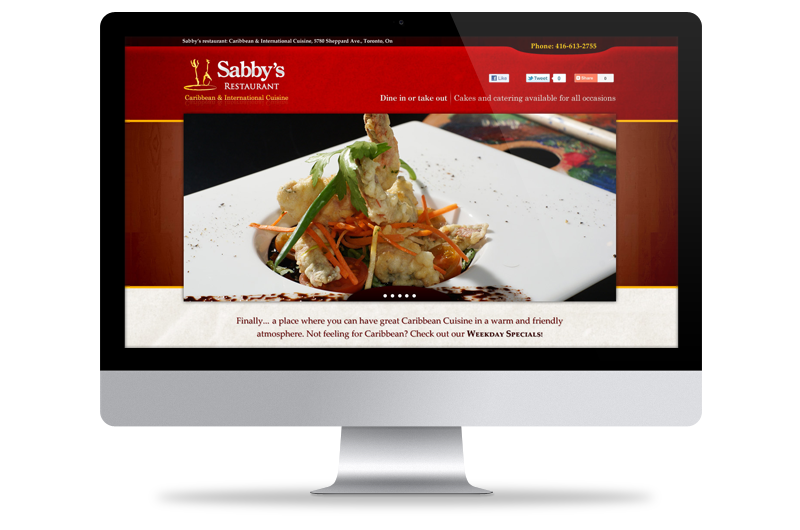 Sabby's is an upscale Caribbean restaurant located in Toronto Canada. 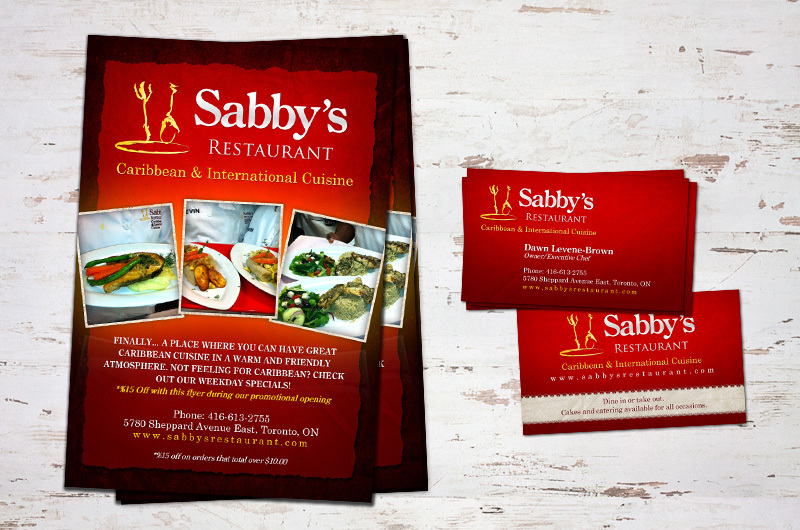 They had a vision to set themselves a part from the other Caribbean restaurants in the area by offering top end cuisine, and fine dining. We worked with them to develop their entire brand identity: colour selection, logo design and development, website design, promotional postcard flyers, business cards, posters, and in house juice bottle labels. 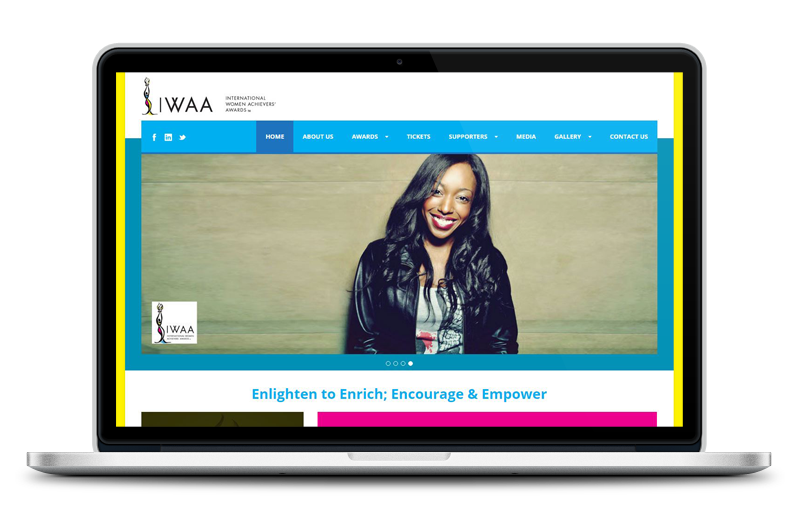 The good folks over at the International Women's Achiever Awards needed a new website design to showcase their growing annual event. They contacted The Toronto Web Company to help them develop a website that archives past events, and highlight upcoming events. The CMS website we've created for them gives them the freedom to update the website at their convenience. Up and coming makeup artist company Doll Me Up Makeup needed a website to showcase their growing list of makeup clients. The website design was to be mobile friendly, showing off a bit of their personality. 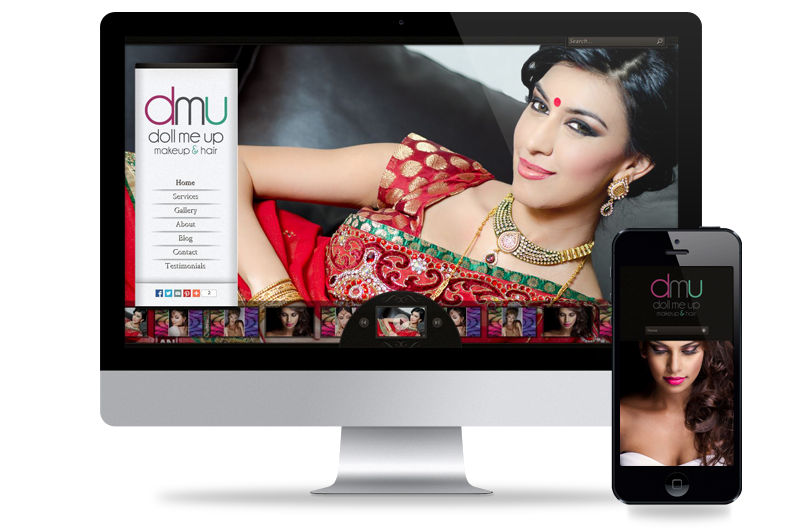 The website was fitted on a CMS platform making it easy for them to make updates to the website on the fly.